However, the mileage may vary from city to city. Or, the way you drive. 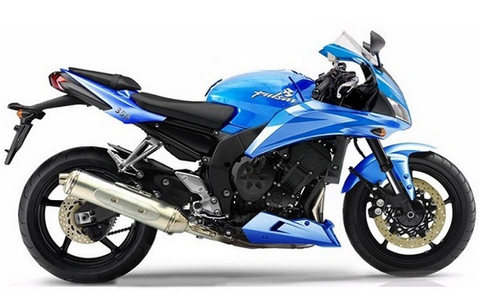 After Pulsar 200 NS, Bajaj has decided to launch it's another new stunning Pulsar 375 NS in 2014. This upcoming bike has the combination of both pulsar 200 NS and 220 as well ! But, the specifications are higher and stronger compared to all previous versions. Undoubtedly, pulsar is one of the most selling bike of India and all it's versions(except 135 cc) have become very popular among the youth. Let's see how this new upcoming beast will have it's demand in the market. It has got a very tough competition with other bikes which are releasing this year like Yamaha R25, Duke and Hyosung. There is a real tough competition, let's see whether this bike will survive in the market or not. Bajaj Pulsar 375 NS has a displacement of 375 cc with SOHC 4-valve liquid cooling system and single-cylinder engine. It has got the maximum power of 36 b-hp and torque of 31 NM. An attractive feature, halogen headlight which is an added feature of Pulsar 220. The gear box consists of 6 gears speed with a superb feature of self start which makes easier to start the bike engine anywhere, even in the traffic. The top speed and the mileage of this bike will be updated very soon after testing it. First time ever, Bajaj has added a new feature called Dual Horn in a bike, which is usually found in cars. First time ever, Bajaj is adding a 375 cc bike to the Bajaj Pulsar family. What do you think? Will this bike be a successful version too compared to previous once? Will this bike rule the India roads? Share your predictions by adding a comment below.